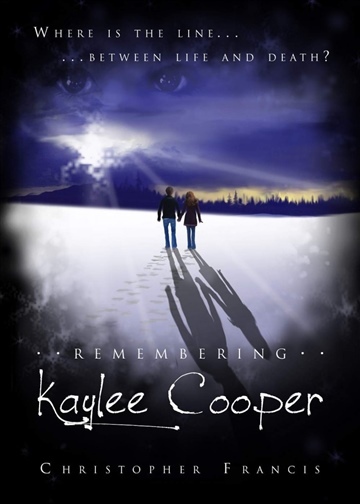 Kaylee Cooper is certain that Alex will become friends with a ghost this year. Alex thinks that he is far too old to be listening to a first grader and encourages Kaylee to stop jeopardizing his important sixth grade social life. Kaylee doesn't listen and finds awkward ways to spend as much time with Alex as possible, even if it means following him into the boy's washroom. Fed up, Alex develops a strategic plan to ultimately help him get rid of Kaylee Cooper for good. However, he soon learns about the mysterious legend of Screaming Ridge that pulls an unlikely group of friends together, including the girl of his dreams, and the school's meanest bully. When they discover that the legend is real, and that Kaylee Cooper is at the core of the mystery, Alex stares death in the face and helps save her from an eternal life of misery and confusion. Born in Brisbane, Australia, Christopher was accepted at age 19 into Sheridan College's Animation program before earning a degree in Sociology from McMaster University. He then enjoyed a two-year adventure overseas working with children, before completing his Bachelor of Education degree at York University. He is now teaching junior and intermediate level students in Burlington, Ontario.